There are nearly 5,000 boating accidents in the United States each year and they very often tend to be serious, with more than 3,000 injuries and hundreds of deaths reported each year, according to the U.S. Coast Guard. Smaller, open motorboats accounted for the largest number of accidents and the causes were most often inattention, inexperience, excessive speed and alcohol consumption. But larger vessels also are involved, such as the recent duck boat tragedy that killed 17 people in Branson, Missouri. A previous duck boat accident, in the Delaware River off Philadelphia, left two people dead and 18 others stranded; the case prompted a civil lawsuit and resulted in a total $17 million settlement. 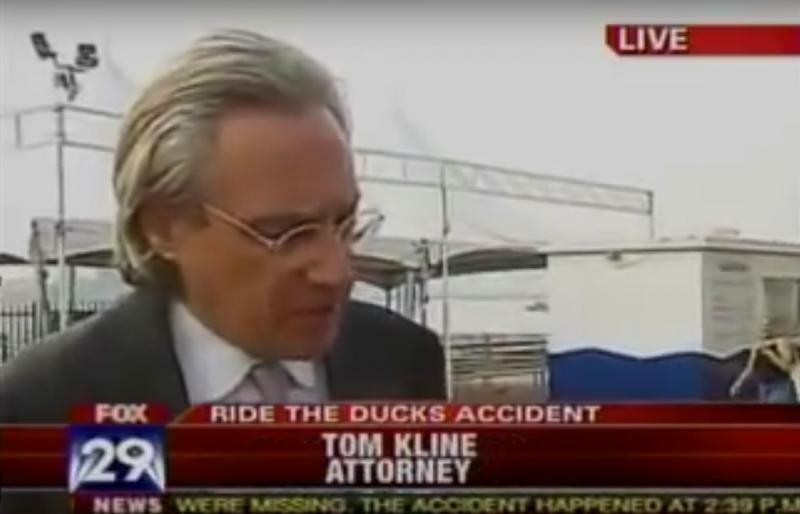 Tom Kline is considered an expert on mass injury accidents and has been called on to comment on the fatal duck boat accident that occurred in Philadelphia in 2010. (See news clip) He was a lead counsel in the Delaware River Pier 34 catastrophe that killed three young women and resulted in dozens of injuries. That case settled for $29.6 million. If you or a loved one were severely injured or killed in a boating accident, you may want to consider a boat accident lawsuit and should contact a boating accident lawyer for a free evaluation of your case. Kline & Specter, PC, with more than 40 attorneys, five of whom are also doctors, is exceptionally qualified to investigate and litigate boating accidents. The firm works on a contingent fee basis, which means we only get paid if and when you are financially compensated. The recent Ride the Duck disaster happened on Missouri's Table Rock Lake when the amphibious vessel capsized in stormy whether, killing nine members of one Indiana family and eight others, including five people from Missouri, two from Arkansas and one Illinois resident. An investigation into the disaster was expected to last as long as a year, according to news reports. The 2010 Philadelphia duck boat accident happened when the vessel was run over by a barge, killing two Hungarian tourists. Duckboat rides in Philadelphia were halted in October 2016. According to Coast Guard data, the vast majority of boating deaths occur on boats aboard which the operator had not received formal boating safety instruction. Most of the accidents, roughly seven out of 10, also occurr on smaller boats, those less than 21 feet long. Among them were motorboats but also canoes and personal motorized watercraft known as jet skis. 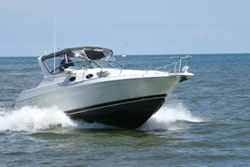 Click here to contact a boating accident attorney.